It has been roughly two whole years since we last saw Anderson Silva step into the Octagon. ‘The Spider’ last fought at UFC 208 which took place in Brooklyn, New York on February 11, 2017. He would defeat Derek Brunson via close and controversial unanimous decision. Since then, Silva has been scheduled to face Kelvin Gastelum in the headliner of UFC Shanghai which was in November 2017. However, weeks prior to the fight Silva would test positive for a banned substance thus leading to a suspension. 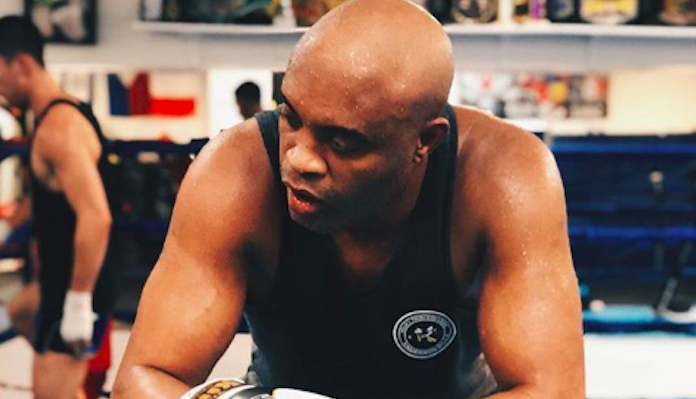 Silva would remain ineligible from returning until late in 2018 when he was exonerated due to his failure being the result of tainted supplements. This wasn’t Silva’s first positive testing, however, as he also tested positive after his bout with Nick Diaz in January 2015. Despite the run-ins that he’s had with USADA since their introduction to the UFC, Silva believes testosterone replacement therapy (TRT) should be allowed like it was prior to USADA. The former middleweight king continued on to make his case for why TRT should make a comeback by explaining how MMA is different from other sports. “USADA’s entrance in the UFC to control the doping situation, the way I see it, was good,” Silva said. “But, in a certain way, it ends up being a disturbance. Because MMA isn’t a regular sport like all the others. It demands from the athlete fighting training, physical training. There are other countless technical valencies that they have to maintain [like] injuries, etc. “I’m in favor of doping control, for sure. I think no athlete should or can be, on fight day, taking advantage of some situation. But I think they need to review this. Because there are many injuries, many athletes getting hurt, many fights getting canceled due to athletes getting injured, etc. Silva is set to make his Octagon return next month at UFC 234 on February 10 when he takes on the rising contender, Israel ‘Stylebender’ Adesanya.